Amazon Power Ambassadors are a part of the most dynamic and empowered people that Loves healthy life and what they do. 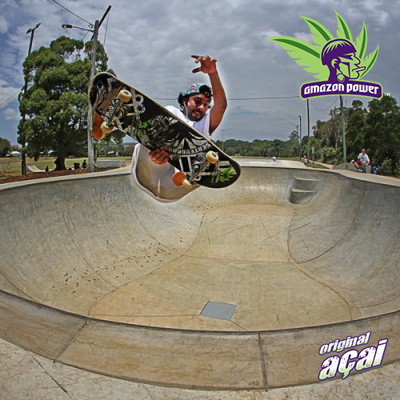 Amazon Power proudly power then up with the Original Acai. I absolutely love Amazon Power Acai, it tastes so delicious! My favourite is making Acai Bowls and adding all different types of fresh fruits and muesli or granola on top... I love being creative with it! It's so refreshing as well as a natural boost of energy to get you up and going. I choose Amazon Power because they're about living a healthy and active lifestyle which is a big part of my life. 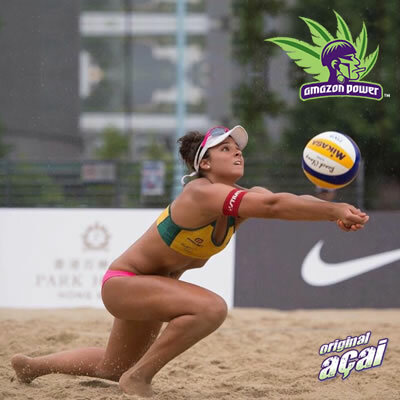 As a professional beach volleyball player I always make sure I fuel myself with the best nutrients in the market to give me the right type of energy to allow me to perform at my best, and this is why Amazon Power works for me! What i think about Amazon Power? 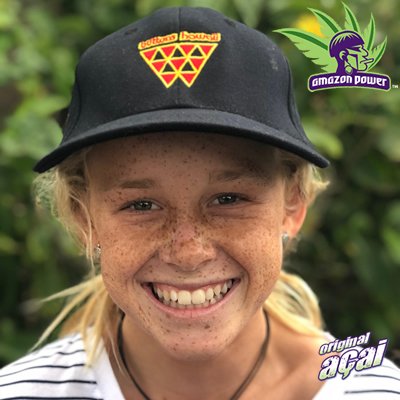 "ive been riding for Amazon Power for about 6 years and i have loved scoop ive put in my mouth.......when ever im away im always looking for some ACAI and personally Amazon Power is the best tasting ive had around the world, i live by it really, its apart of my routine and with Amazon Power it helps me keep healthy and strong its not called a super food for no reason haha". How i feel when i have ACAI? " 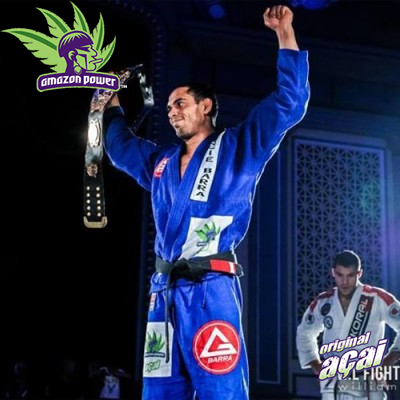 I feel really good about myself actually its good knowing that you have had something like ACAI during the day because you know that you've had something healthy for you and your giving your body nutrients it needs to live a busy lifestyle like my own." 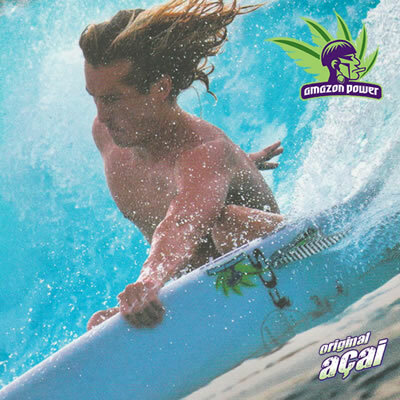 I love Amazon Power Original Acai many different ways, yet me personal favourite is to make an Acai smoothie. 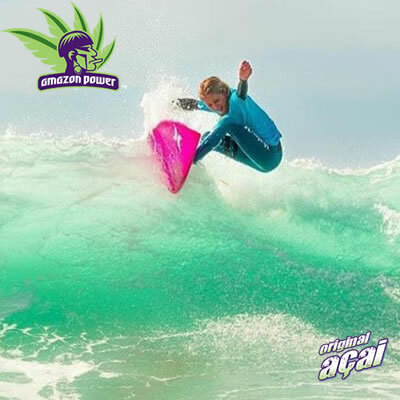 Acai is great to keep you energised and healthy but it is also super yummy. I love to have Acai anytime of the day, especially for breakfast as it gives me plenty of everlasting energy and keeps me happy all day. Most definitely, Acai is a great way to pick yourself up when you are feeling tired and help you stay on your feet always. It's super healthy and keeps me on track. 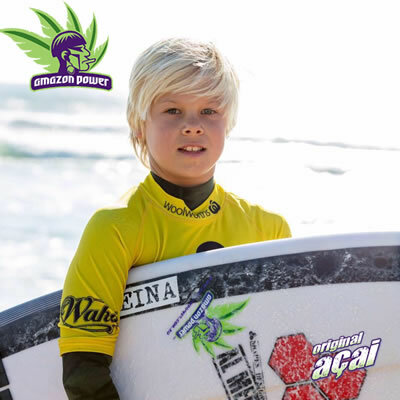 When I grow up, I want to be a professional surfer and Acai will help me achieve my goals. I love to blend Amazon Power Original Acai with berries and bananas and a little bit of apple or orange juice to make a delicious smoothie. Acai is a great way to get energy and it is also very tasty. I love to have Acai in the morning so that I will be energised throughout the whole day. I believe it gives me energy and keeps a smile on my face. I think that Acai is very healthy and really does help me to achieve my fitness goals because it always keeps my energy high. 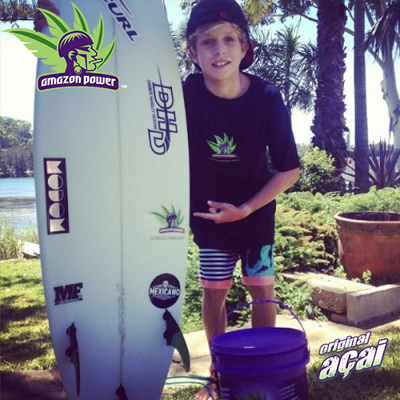 When I grow up, I would love to be a professional surfer and hope to still be energised by Acai. I love eating Amazon Power Acai because it is so delicious but mostly because it gives me so much energy to use throughout the day! When i get up in the morning to start my rutine whether it be surfing or training, i make either an Acai smoothie or bowl with banana, frozen mango and coconut water (my favourite blend) and this gives me all of the energy i need and makes the tiredness leave my body! I love having a healthy body and mindset, eating Amazon Power Acai is my heathy, nutricious go to option so i can live a healthy, fit and fun life doing the things i enjoy most! It's the thing that keeps a smile on my face all day long! "I love Amazon Power. I am gluten free and for Amazon Power aÃ§ai to be gluten free itâ€™s awesome. Itâ€™s delicious, healthy and great to have before and after exercise!!! 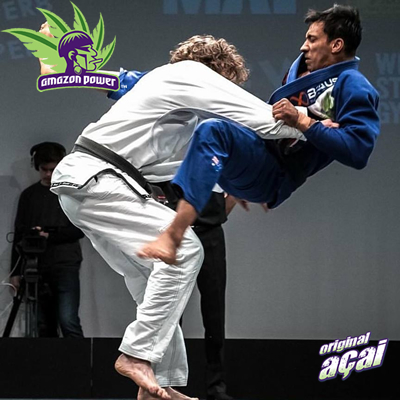 @surfoceanna "
Acai has been part of my diet for over 10 years because gives me the boost of energy I need for everyday training. Amazon Power has made it easy for me to have acai anytime I want with the variety of options they offer. Sometimes an acai Bowl with chopped fruit on top or just a small 140g amazon power acai mixed with my protein shake definitely helps with keeping my nutrition throughout the day. 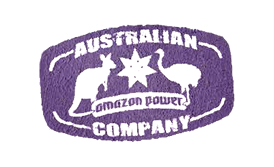 Amazon Power also inspires many young athletes behind the scenes by sponsoring and supporting them, What a TEAM! Amazon Power is so delicious I love to eat it everyday. I sometimes have it before school or surfing or sometimes I have it after dinner instead of ice-cream. I think Amazon Power Acai is best all by itself or with just a bit of Banana. I feel like it gives me lots of energy to do lots of fun things like surfing, Jiu Jitsu, skating, training or just a busy day, and I need lots of energy because I like to do heaps of things every single day. I know that Amazon Power is very good for you, but I think the best thing is that it tastes so AMAZING. My family and I just love aÃ§aÃ­ so much that we have it everyday for breakfast, pure or blended with other fruits, nothing more refreshing , all year round. The right energy at the right time. Love love loooooove it, and we are so thankfull to the Amazon Power team for bringing it to our door, all the way from Brazil.